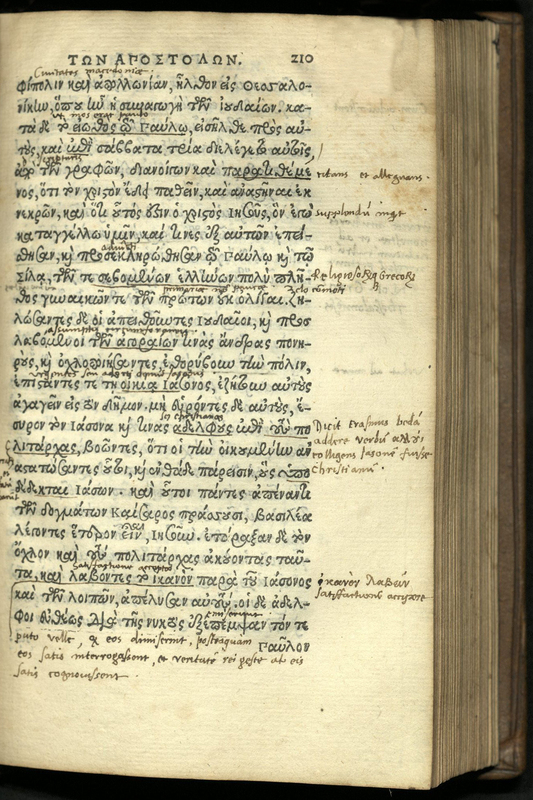 This is the first Greek New Testament printed in France. 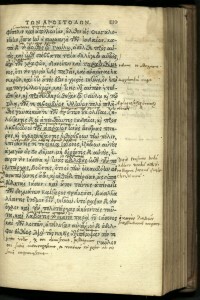 Simon de Colines edited the text, using printed and manuscript sources. 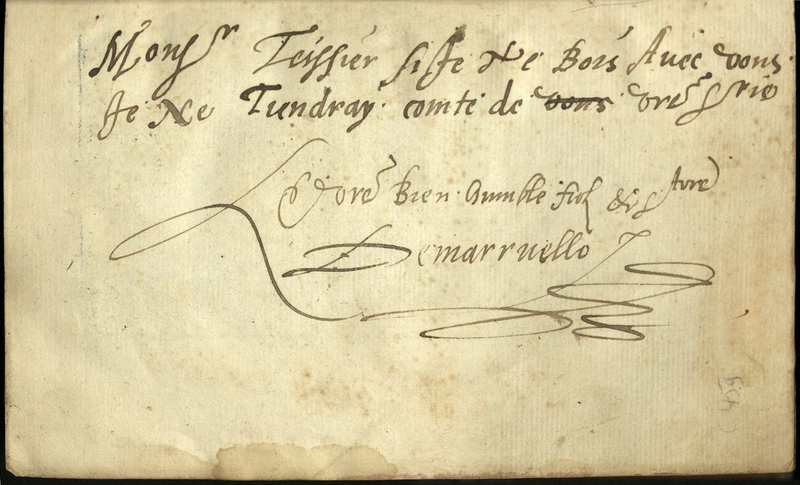 To save his own neck, Colines hid the involvement of the book’s printer, Protestant typefounder Antoine Augereau. 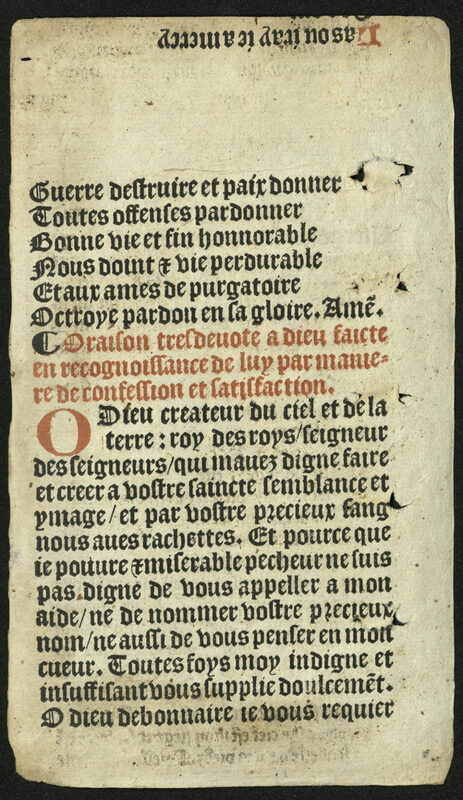 Augereau was condemned as a heretic, hung, and then burned at the stake on Christmas Eve 1534, only a few days after finishing the printing of Ha Kaine Kiatheke. 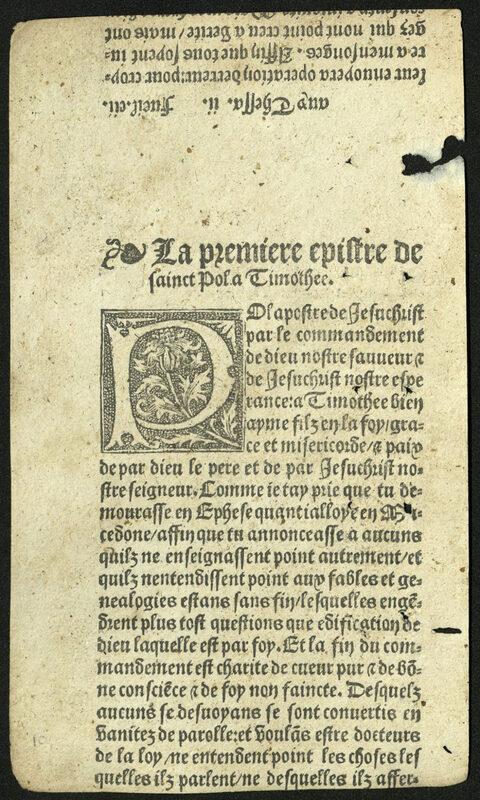 In 1520, Colines married the widow of Henri Estienne, the founder of the distinguished Estienne press, and took charge of that press until Estienne’s son, Robert I, took over in 1526. Colines then set up his own shop nearby. 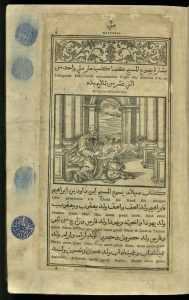 He focused his publishing efforts on Greek and Latin classics – works by Aristotle, Cicero, Sophocles, Hesiod, Horace, Ovid, Virgil, Terence, Euclid, Hippocrates and others – works then considered the literary backbone of the civilized world. 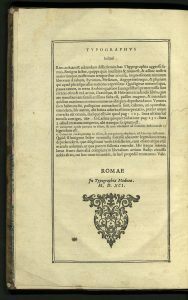 He added to the classics publications of anti-Lutheran theological writings and works by the faculty of the University of Paris. In all, Colines’ press produced at least seven hundred and fifty publications. 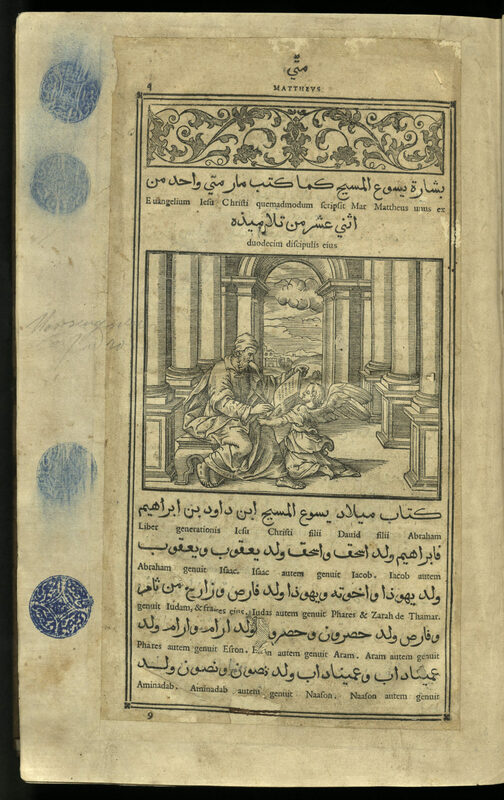 Although not a scholar himself, he used his considerable familiarity with the Estienne publications and extended his own press to include writings on the natural sciences, cosmology, and astrology. 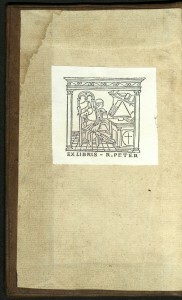 Colines was an important part of the development of book and reading structure in Renaissance printing. It was during this time that chapter headings, subheadings, running heads, page numbers, tables of content, indices and source notes became elemental fixtures in the publication of texts. 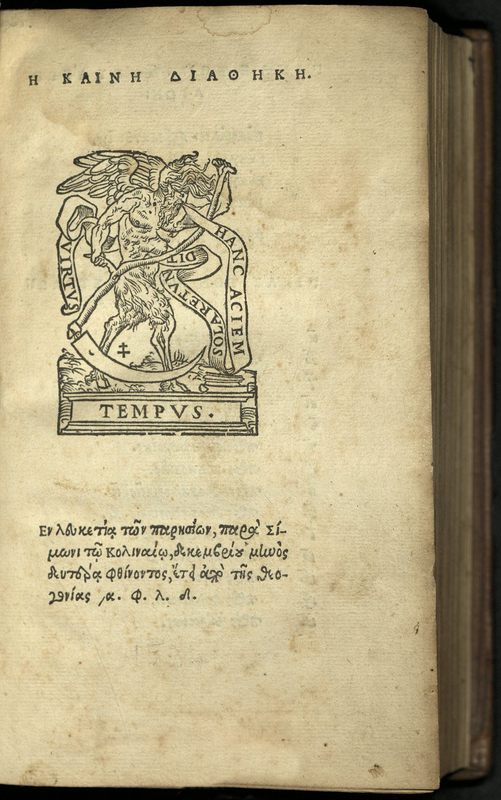 Colines designed his own italic and Greek fonts and a roman typeface from which Garamond type was derived. 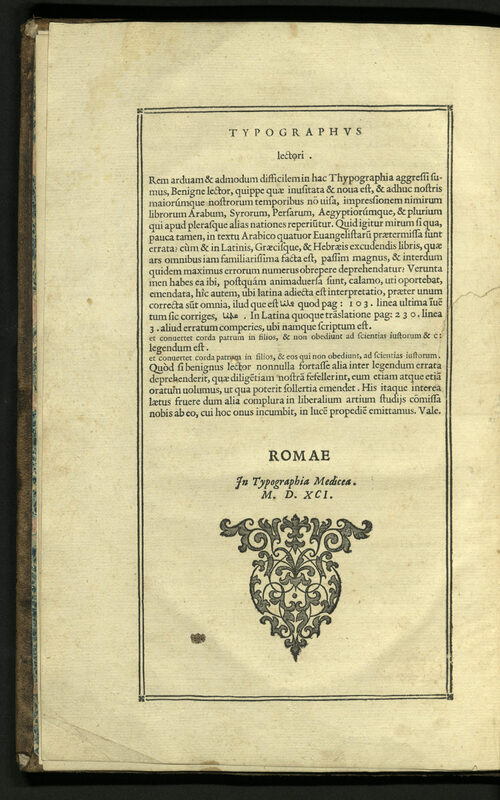 He was one of the earliest printers to mix italic fonts with roman typefaces. During at least one of his printing projects, he worked with type designer Geoffroy Tory. 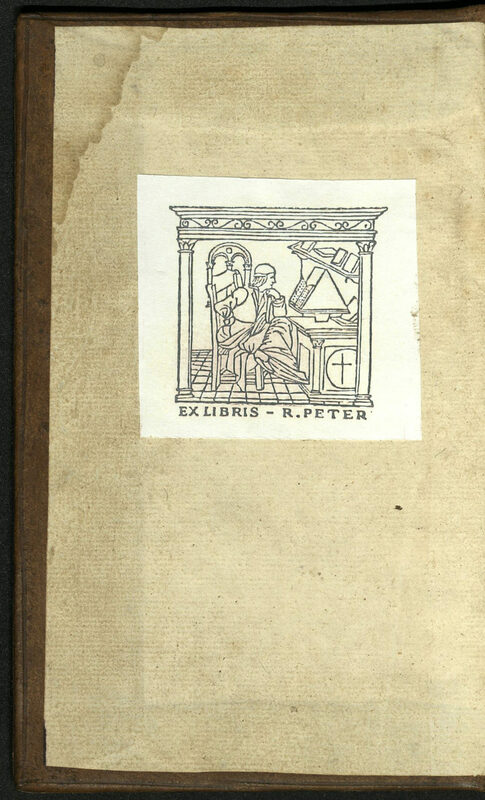 It also contains the book plate of Calvin bibliographer R. Peter. 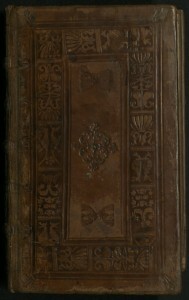 The University of Utah copy bound in contemporary tan calf blind decorated with an outer roll of foxes, winged putti, acanthus leaves and lilies, central rectangle with brazier and foliage tools. 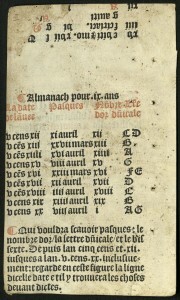 An earlier repair to the hinges of the binding revealed the following, making up the pressed paper boards: 28 leaves from Les choses co[n]tenues en ce present liure…Le contenu en ceste second partie du nouveau testament, Paris, S. de Colines 10 January 1524; and leaves from Hore beate marie [virgi]nis Secundu[m] vsum insignis ecclesia[?e] Cathedraiis Carnoten[sis]…, Paris, s.n., ca. 1511-1512. 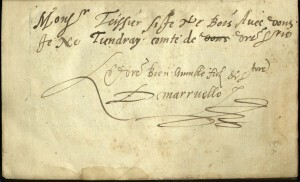 The printed signatures found hidden in the binding appear to be proof sheets for the first Protestant French translation of the New Testament, second edition. 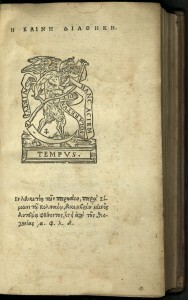 The printing of this edition was completed only months before the Paris Parlement condemned the work as heresy. 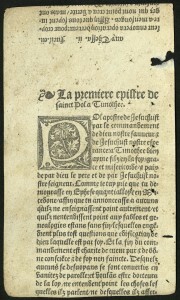 Yet, the 1524 edition, due to its literary quality and scriptural analysis, served as the basis for nearly all future French versions throughout the century. 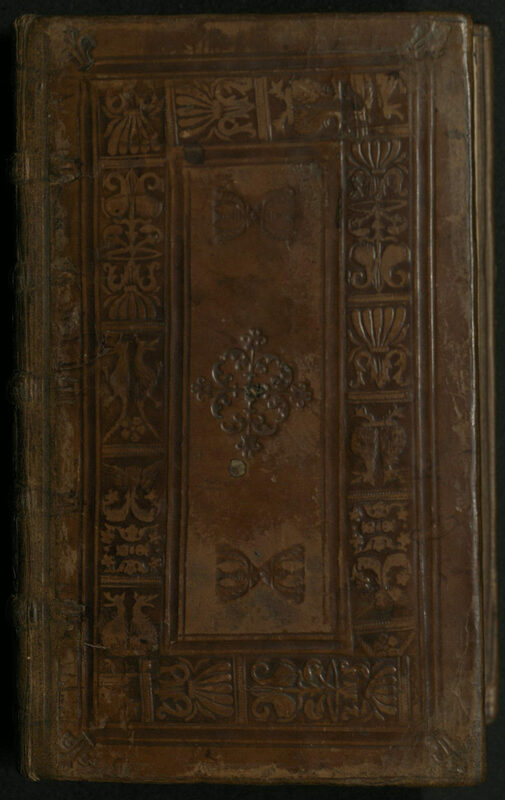 Ironically, it also served as the 1550 Roman Catholic Louvain Bible. 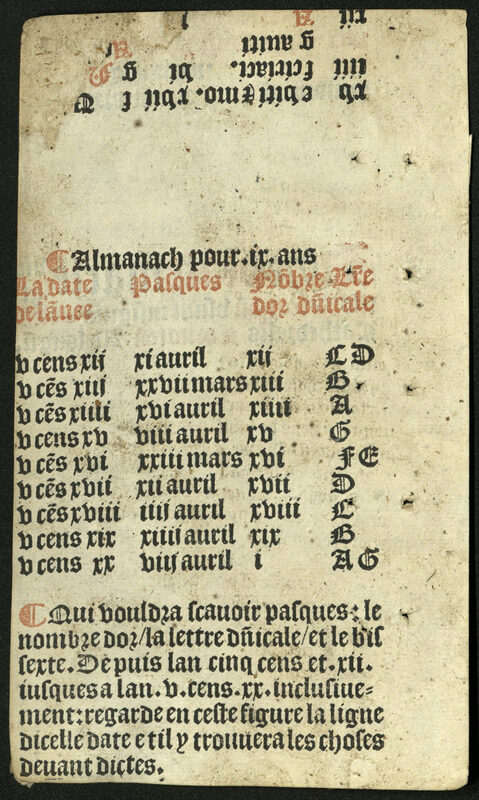 The leaves from Hore beate…, which also formed part of the binding’s pressed boards, are from an unrecorded Latin-French Book of Hours for the use of Chartres, with a calendar for 1512-1520. 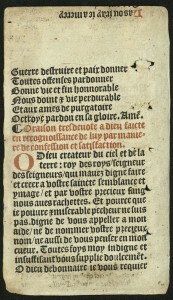 The type is Gothic, printed in red and black and includes two-line woodcut initials.